Today’s going to be easier. Less Elvish. But still some. Galadriel finishes her song. So there’s that. Frodo gives us a translation, which I wouldn’t doubt is the basis for how a lot of people started to study Tolkien’s language. Meanwhile, the Fellowship drifts downriver, and Galadriel disappears. Gimli weeps for the loss of beauty. It’s terribly more difficult to deal with than evil. In some ways, he would rather be taken and tortured by their enemies. That’s a thought. -Mount Everwhite: A mountain, if that wasn’t obvious. Probably where Varda (Elbereth Gilthoniel) comes from. At least, that makes sense to me. Technically, we heard about Everwhite for the first time yesterday, but it’s hard to glean from the whole “other language” thing. Blah, blah, blah…issues. Just a little bit left to puzzle about today. I neglected to mention yesterday that the cool thing about Florence + The Machine is that she’s from New Zealand. That’s kind of a thing when we’re talking about Lord of the Rings. 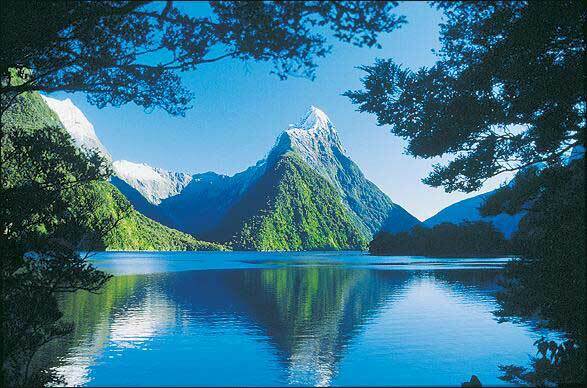 New Zealand is, after all, Middle-earth incarnate. The pretty isn’t even fair. And the pretty makes Gimli cry too, because Lothlórien has that effect on people. The pain of losing it is worse than he had imagined anything else could be. I, for one, would take the loss of beauty over my enemies any day. Maybe Lothlórien is the most beautiful thing ever, but there are other things that could fill that gap. Torture, pain, and evil-dom? Yeah, not as nice. If given the choice, I’d ditch Lothlórien. So much more manageable! I like that.